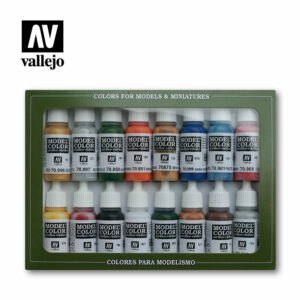 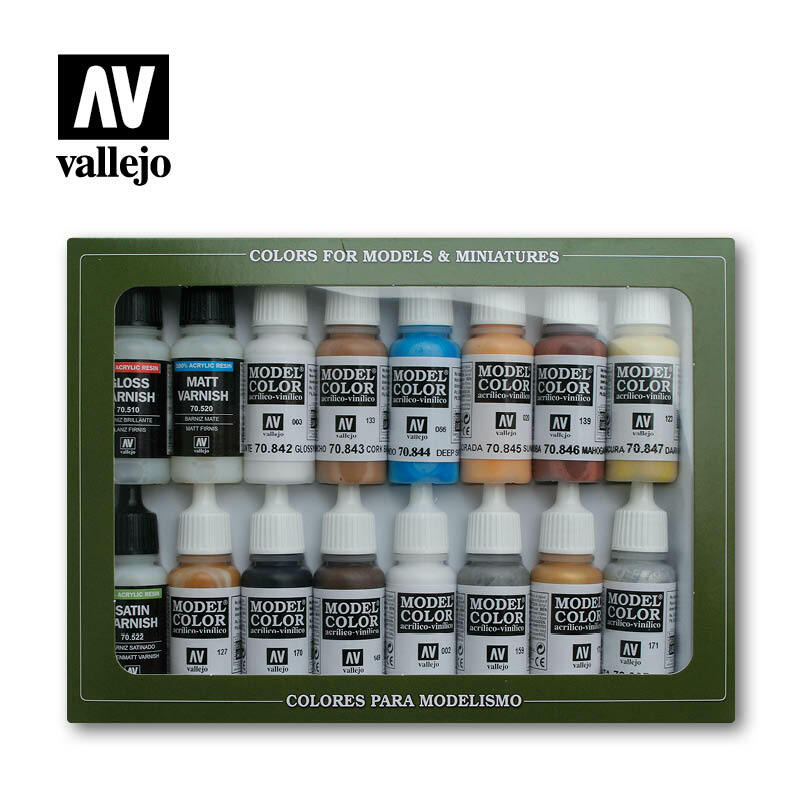 Set with 16 Model Color for painting models and miniatures. 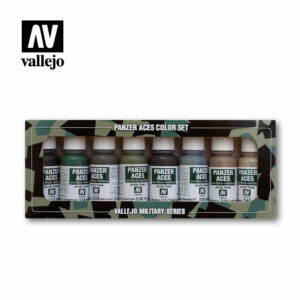 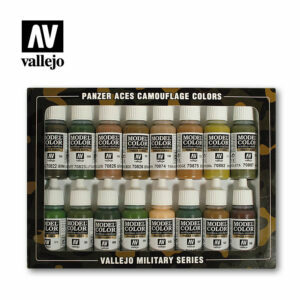 This set has a specific selection of colors for painting vehicles, figures, etc. 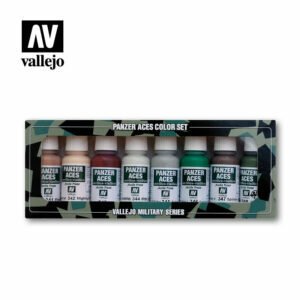 Contains 16 bottles of 17 ml./0.57 fl.oz. 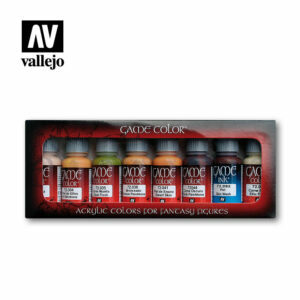 and color chart.